In what could prove to be a vital step forward in all that we know about the exploits of Kildare-born explorer Ernest Shackleton, scientists have announced they are set to search for his lost ship, the Endurance. The ship sank in November 1915, when it was trapped in ice, marking the start of the adventure for which he is best known, which was the lengthy rescue plan which saw him and a number of other men travel huge distances on foot to get help for the entire crew of the ship. Despite all of the travails faced, Shackleton and his crew of 27, including the famous Tom Crean, all survived. No trace of the ship has ever been found and at least three attempts to find it have failed. It was last seen in the Weddell Sea, which is just off Antarctica in the Southern Ocean. When it sank, Shackleton and his crew were forced to a flee in lifeboats before setting up camp on Elephant Island which is part of Antarctica. Having repurposed one of the surviving lifeboats, Shackleton and some of the crew travelled through the Southern Ocean to another inhospitable island, South Georgia where there was a whaling station from where a successful rescue mission was launched. A team of British scientists, led by a Cambridge professor Julian Dowdeswell, will embark on a 45-day Antarctic expedition later this year, and they expect to reach the site where the Endurance lies in early 2019. The finding of the Endurance is not the principal mission of the trip as the scientists are embarking on their journey in order to study the Larsen C ice shelf. However, they have decided to incorporate an attempt to recover the lost ship into their expedition due to its nearby proximity. They will use the same underwater vehicles that they intend using to study the ice shelf to try and find traces of the Endurance. It has previously been theorised that the ship may be in a good state of preservation, due to environmental conditions in the area. The Weddell Sea Expedition, as the venture is formally known, will incorporate several international experts and is funded by a Dutch charitable foundation. 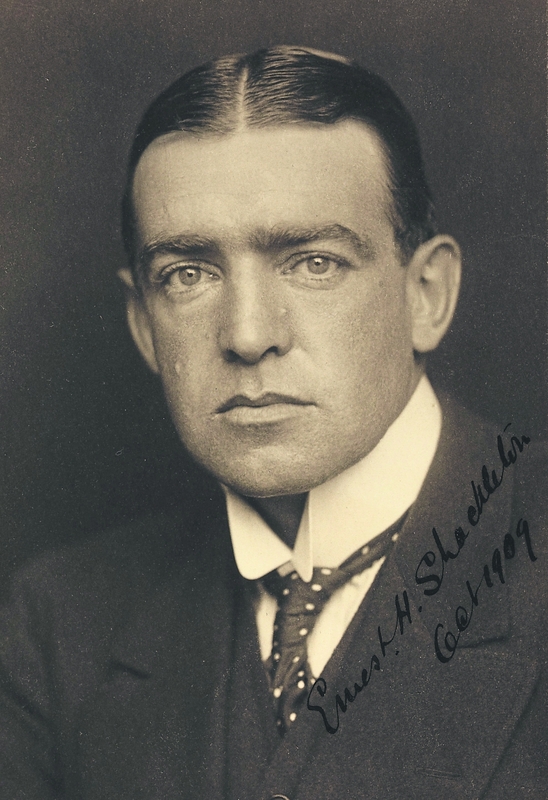 Ernest Shackleton was born in February 1874 in Kilkee near Athy and died at the age of 48, on January 5 1922, following several heart attacks. He passed away moments after his doctor advised him to quit drinking. His father was Henry Shackleton, and his mother was Henrietta Letitia Sophia Gavan. While his father’s family were Anglo-Irish, hailing originally from Yorkshire, his mother’s family was Irish, from Cork and Kerry. Ernest was the second of 10 children and the first of two sons; the second, Frank, achieved notoriety as a suspect, later exonerated, in the 1907 theft of the Irish Crown Jewels. In 1880, when Ernest was six, Henry Shackleton gave up his life as a landowner to study medicine at Trinity College, Dublin, moving his family into the city. Four years later, the family moved again, from Ireland to Sydenham in suburban London to allow his father to find a job as a newly qualified doctor. He did not live in Ireland after that time. Shackleton is considered to be one of the best known figures of the period known as the Heroic Age of Antarctic Exploration and one of several statues of him is located in Emly Square, Athy since 2016.